Amid a background of bank robberies and fatal gunshot wounds, the real drama here is bureaucratic and human. 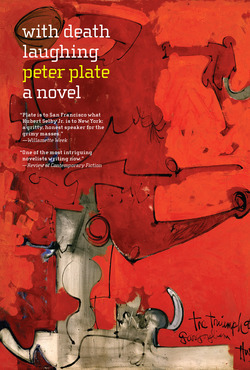 In her response to the adversity all around her, Peter Plate's Charlene Hassler, a social worker at the huge, anthill-like Department of Social Services complex on San Francisco's Otis Street, is a literary tour de force. Straight out of Dante's Inferno, Plate's DSS is an eternal holding pen of unfulfilled needs and desires. Charlene is under investigation, and snitches are everywhere. A co-worker is murdered. Charlene's boss and former mentor spends amorous afternoons with her arch-enemy. The custodian burglarizes her desk, then shoots her in the knee after he imagines she’s ratted on him. As the anger and chaos at DSS reach epic proportions, we witness the strange heroism of Charlene's co-workers when they foil a hold-up; her boss's real vulnerability after a suicide attempt; and Charlene herself triumphantly winning her personal battle for romance in this true human comedy.